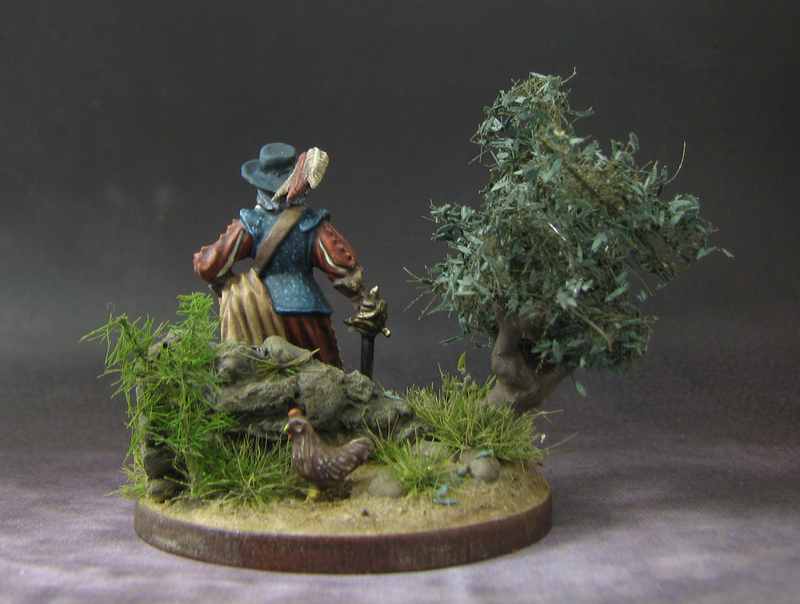 You know the drill: People send each other miniatures to be painted and receive a unique artwork in the end to add to their collection. There were no limitations in terms of period or setting, so I decided to sent out a slightly converted Dragonborn Bones miniature. I am sure it will see quite a bit of play in our DnD campaign. 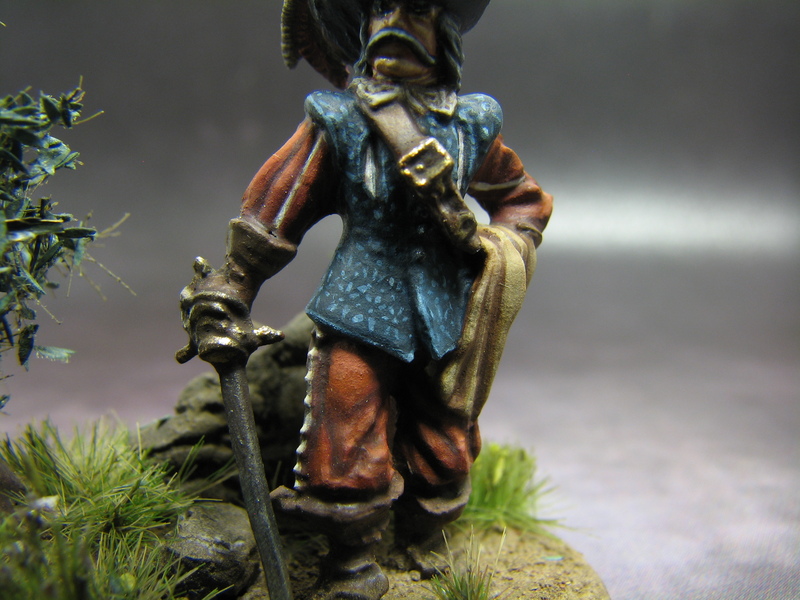 I received a miniature from a period I was not familiar with at all, namely a musketeer roughly dated to the beginning of the 17th century. Yes, you think right: The three musketiers. 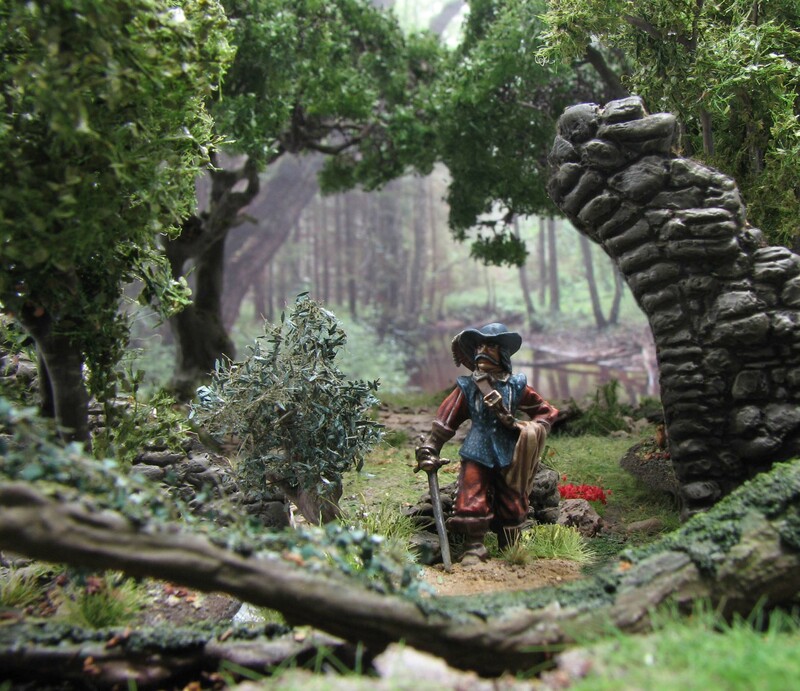 Hagen miniatures sells a set called ‘The four musketiers‘ based on the 1973 film ‘The three musketiers‘. 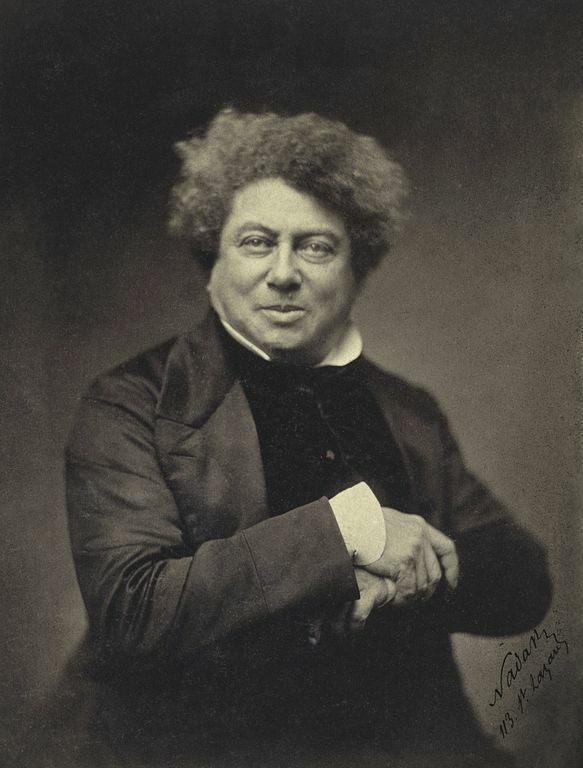 French author Alexandre Dumas published his historical novel Les trois mousquetaires in 1843/44 which all movie adaptions are based on. Dumas work is, however, not entirely fiction, rather it is based on historical figures with similar names. D’Artagnan for instance is based on Charles de Batz-Castelmore d’Artagnan, a bold soldier, spy and bon vivant with a brilliant career at the french court. He died during the siege of Maastrich in 1673, again on campaign and ever loyal to the French king. 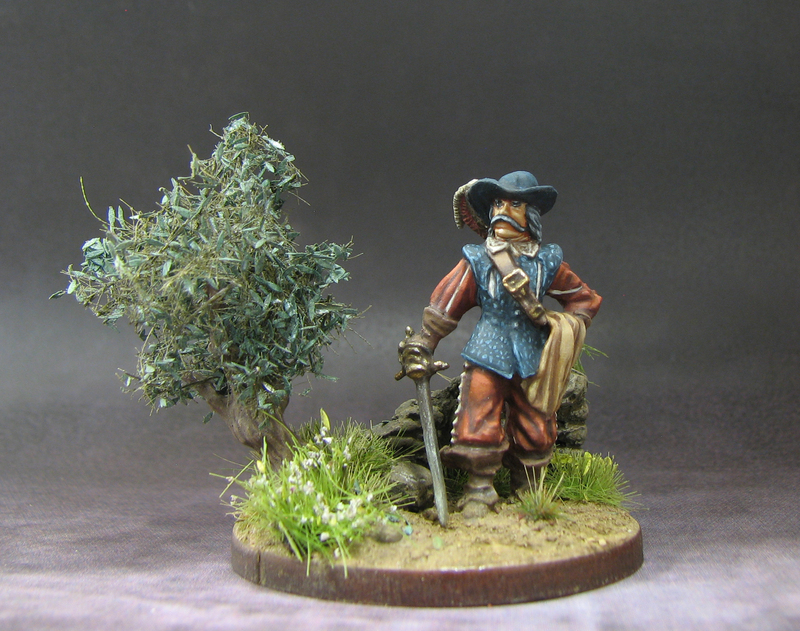 Given history and fiction go hand in hand in Dumas work, I thought I would take a similar approach to painting the miniature: Coming up with my own version of one of the famous musketeers, but naturally inspired by history. I stuck with red and blue as the two main (royal) colours, but did not paint a white cross; the traditional emblem of the Mousquetaires du roi. Instead I felt like trying something new: a brocade effect. The miniature wears a doublet, thus a nice even surface is provided to experiment. First I tried to paint a floral scheme using red and yellow as contrasting colours. Unfortunately the result was far from perfect and I had to repaint the doublet. My second attempt was more subtle: Just the appearance of geometric patterns in a light blue on top of the dark blue doublet. The close-up is unforgiving, but shows well how the simple pattern does produce a reasonable brocade effect when seen from further away. Naturally there is still room for improvement, and masters like Marike Reimer can pull off truly stunning brocade patterns. That said, this easy pattern might be feasible on a whole regiment, while extremely detailed work is more for display and competition painting. Boots, straps and belts are kept in different brown shades so that the focus is on the doublet and the face. I thought of making the coat draped over the arm blue or red with a white cross, but I think the light brown adds some variation without making the miniature too busy. Some white accents on the feathers, sleeves and pants add some interest to the red cloth and the black hat frames the face nicely. I decided to give him grey hair: an old veteran that has still some fight in him. I think a good base complements a nice paint job, so I decided to put a bit more effort in it and fashion a diorama base. The idea was to capture an idyllic mediterranean scene, maybe in Spain or Greece. 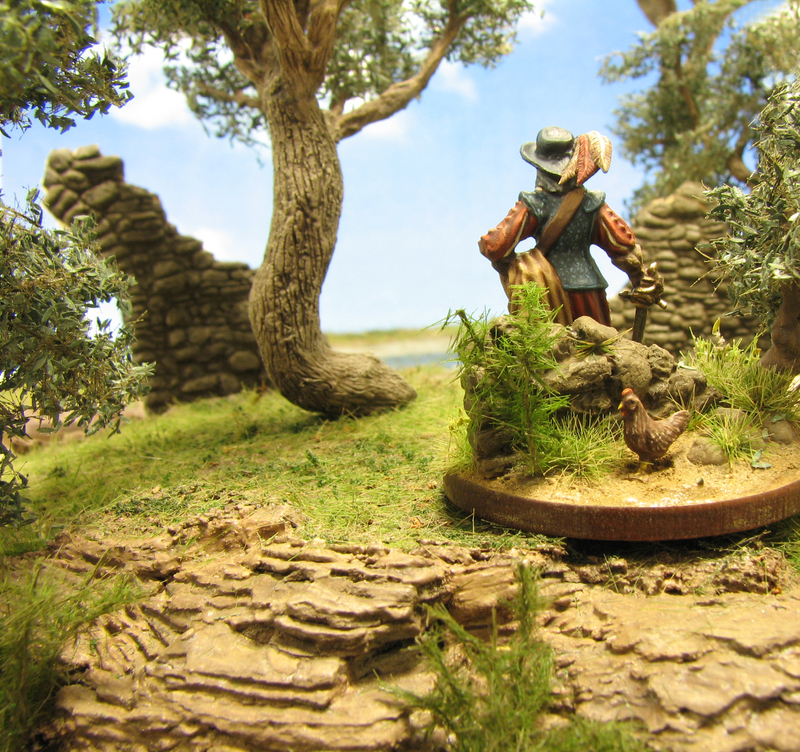 A weathered stone wall separates the base and allows to have two scenes playing out: The old musketeer facing an opponent, emphasised by a line he draws in the sand: “No further!” Behind the wall a chicken is oblivious to the ensuing fight and goes about its business. The line is a subtle addition, but is a nice way to tell a story with the base. A-well-a ev’rybody’s heard about the bird bird bird bird. B-bird’s the word oh well-a bird bird bird. 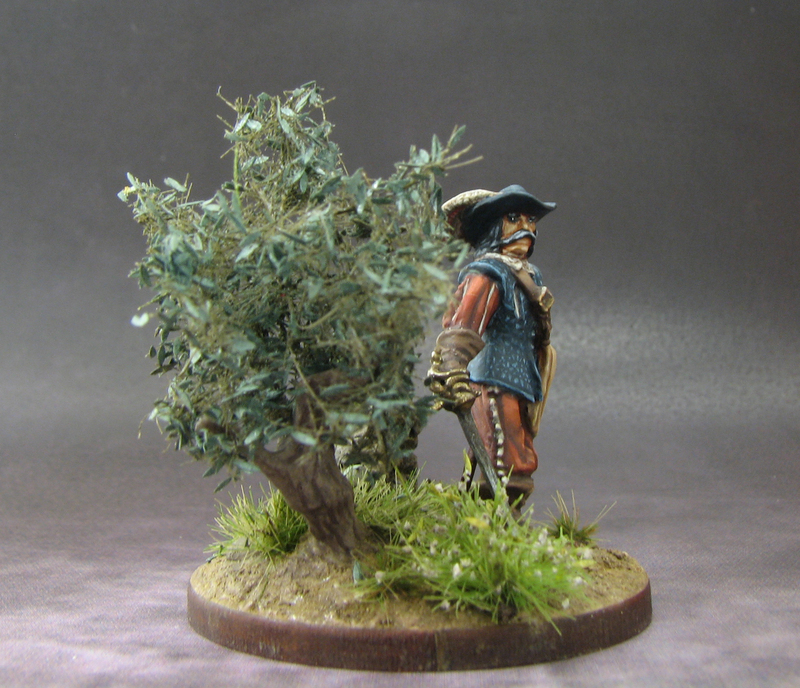 I also added a small olive tree to emphasise the mediterranean theme of the base. Brushes, olive leaves and taller grass are all a mix of MiniNatur products. The taller grass is in actual fact Pine tree foliage. A good way to use any left overs. Per usual light coloured soil gives a very naturalistic appearance and is in my opinion superior to the old sand and paint mix. 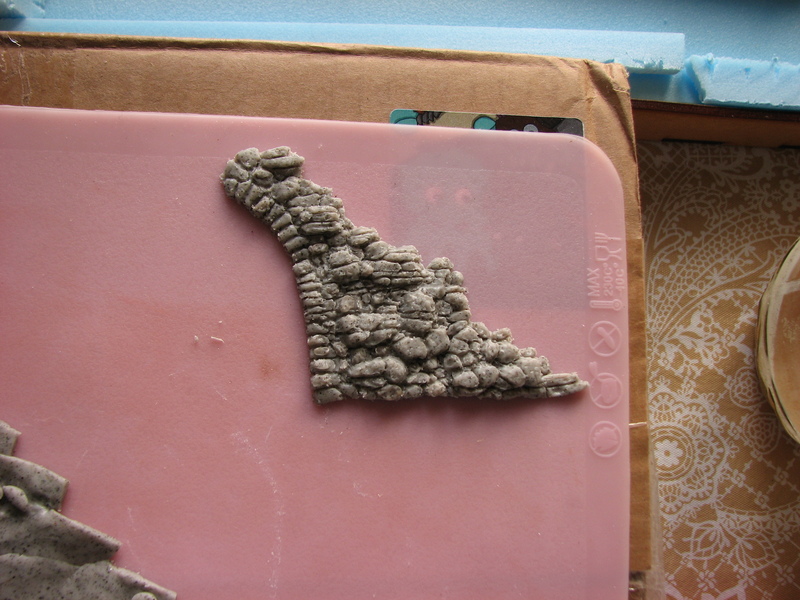 The stone wall is actually a custom sculpt that I will use in terrain boards and for dungeon modules. The raw sculpt before baking. I made a press mold and a copy, only to cut it in pieces and use part of it for the wall. Light leather parts and cloak: Basecoat of RMS Tanned Leather with a wash of Vallejo Umber Shade , followed by highlights with successive amounts of Vallejo Gold Yellow and RMS Pure White. Dark leather parts, chicken body: Basecoat of Vallejo Flat Brown with a bit of RMS Blood Red. Vallejo Deep Yellow and RMS Tanned Leather mixed in for the highlights. Hat: Basecoat of RMS Pure Black followed by highlights with MRP Sapphire Blue. Hair: Basecoat of RMS Pure Black followed by highlights with Basecoat of RMS Pure Black followed by highlights with Vallejo London Grey. Linen shirt, feathers: Basecoat of RMS Pure White with a hint of Vallejo Flat Brown, wash with Vallejo Umber Shade and highlights with RMS Pure White. Pants, sword sheath, feathers, chicken’s comb and sleeves: RMS Blood Red mixed with Vallejo Flat Brown followed by a wash with Vallejo Umber Shade. Deepening of shadows with adding some RMS Pure Black to the basecoat tone. Successive highlights with Vallejo Golden Yellow. Steel parts: Basecoat of MRP Pure Black followed by Vallejo Gunmetal Grey. For the highlights Vallejo Oily Steel with successive drops of Vallejo Silver. Vallejo Smoke for added depth. Blue doublet and brocade freehand: Basecoat MRP Sapphire Blue with a hint of Vallejo London Grey followed by highlights with successive amounts of RMS Pure White. Chicken’s beak: Basecoat of Vallejo Deep Yellow with a bit of Vallejo Flat Brown, followed by a wash with GW Reikland Flesh and successive amounts of RMS Pure White for the highlights. He entered the remains of an old Norman hold through a ruined portal, his pursuers closing in. “Let them come”, he thought by himself, pressing is back against the cold stone. Oh, MAN. That last photograph is simply fantastic! The figure is great-I love the consistently muted colors. 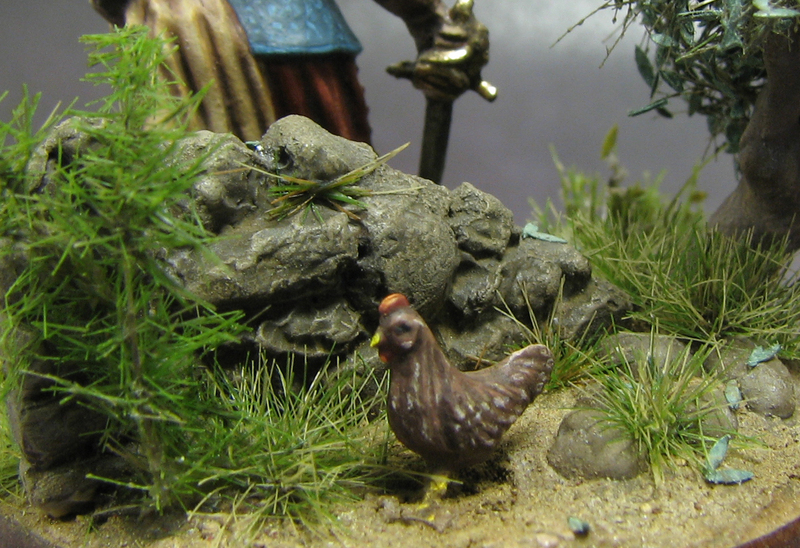 Nice job in hinting at a story with your basing…the line in the sand, and chicken both fire the imagination. Glad you like it. One of my personal favourites. I think I am currently in a ‘muted’ phase with my 28mm, while the 15mm always come out with a bit more brilliant colours to guide the eye. The hidden details I fidn quite satisfying, after all it rewards the observer that spends some seconds more with the miniature in hand. It is always a pleasure to read your articles. And to admire your lovely figures, I think the fellow who got the figure is ecstatic. Thank you kaiserbill, much obliged. I think he was indeed very pleased. This miniature exchange stuff is new for me, but it was actually really cool to paint something to a high level for someone to enjoy. Thank you for your kind words, much appreciated. Glad you like the basing. I could surely see the chicken being the comic relief ;). Beautiful work as always. Knowing the work and knowledge that goes into your flora, I find the effect of the foliage and the base more impressive than the miniature perched on top – which is sublime in itself. Thank you Azazel, much appreciated. 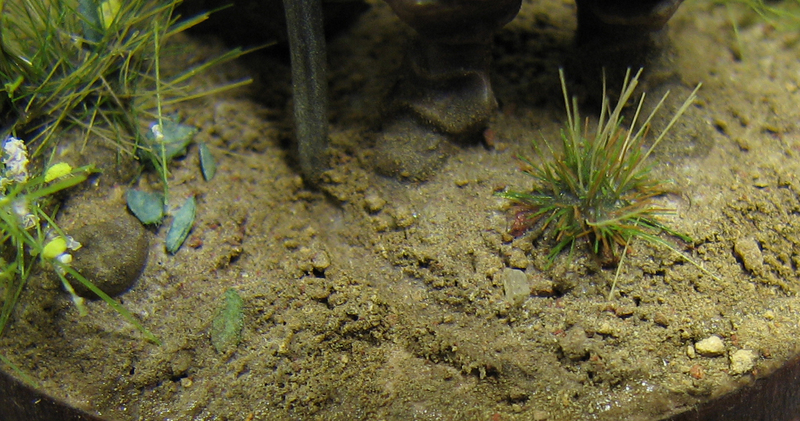 I really enjoy working on the bases for my miniatures, maybe even as much as painting them. 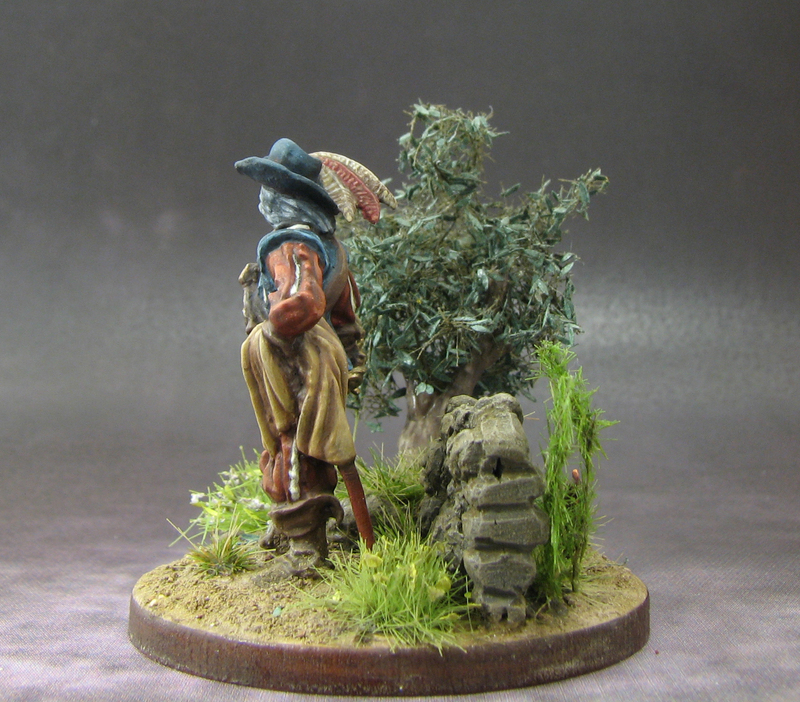 I think good basing really elevates a miniature and I think with all the work we put into our models they deserve nothing less (well, if it is a regiment abse there is only so much you can do, that is why I love single character figures). Thank you for your comment mitchk999. Glad you like my stuff! Very nice workmanship, the Brocade looks great and I really like the stone wall. Interesting story thanks for sharing. Thank you for commenting Daniel. I am glad the brocade looks the part. I am quite pleased how the stone wall turned out this time. My earlier attempts were too regular for an old, weathered look, so I will use this for all kinds of projects. Very cool stuff, my friend! I just stumbled across your blog for the first time and I think I will spend some more time tonight reading through it. Keep it up! Thank you for your comment Thomas. Glad you came across my corner of the web. I hope you will find something that inspires you or is of use in some of your own projects.